Capricorns usually don't have problems with professional career. They belong to persistent and consistent persons, which certainly constitutes their high advantage to undertake work almost in every profession. They like to work with a large number of people, can very well establish contact with them, by which often are promoted to higher positions in the company. Generally, they are entrusted with responsible tasks, since bosses appreciate their involvement in the company development. 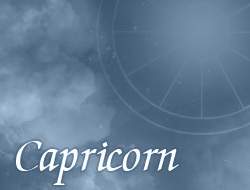 Capricorns are able to be disciplined and exceptionally creative. Sometimes they impose solutions that improve the entire company function. Quite often they feel high ambitions, therefore unwillingly work on lower positions. Very often they point their goals, which in the future they can successfully achieve. In order to avoid defeat, they try to catch all mistakes and in time to fix them. PROFESSION: entrepreneur, adviser, economist, politician, doctor, soldier, policeman, architect, civil engineer, firefighter, manager.